30 in MACS level V (12%). Measures were also taken at 18 months, 24 months, 30 months, 36 months, 48 months, and 60 months of age. self‐care development at 60 months of age was negatively associated with the severity of manual ability impairment. 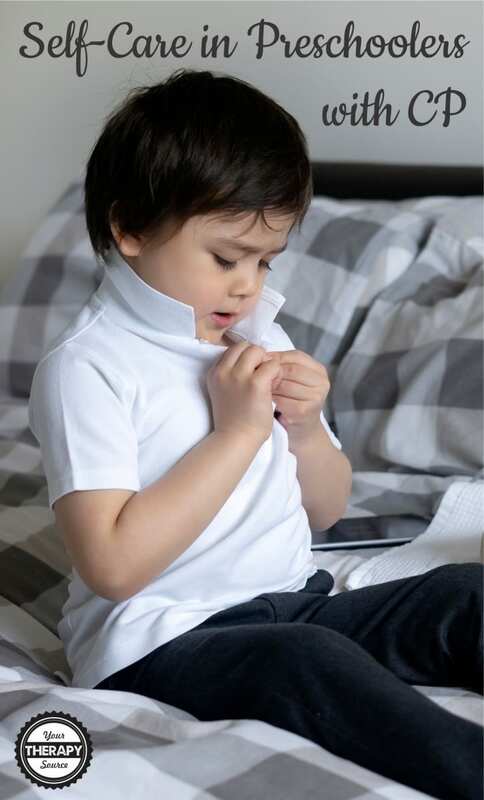 Distinct self‐care developmental trajectories were found with estimated changes in PEDI self‐care scaled scores per month: 0.61 for MACS level I, 0.46 for MACS levels II, 0.31 for MACS level III, 0.16 for MACS level IV, and 0.03 for MACS level V.
Children classified in MACS level V had the lowest level of self‐care skills at 18 months and showed no progress in self‐care development. The researchers concluded that self‐care performance was highest in children with greatest manual ability. The PEDI trajectories can help clinicians to predict or monitor self‐care performance and assist with goal setting. Burgess, A., Boyd, R. N., Ziviani, J., Ware, R. S., & Sakzewski, L. (2018). Self‐care and manual ability in preschool children with cerebral palsy: a longitudinal study. Developmental Medicine & Child Neurology. 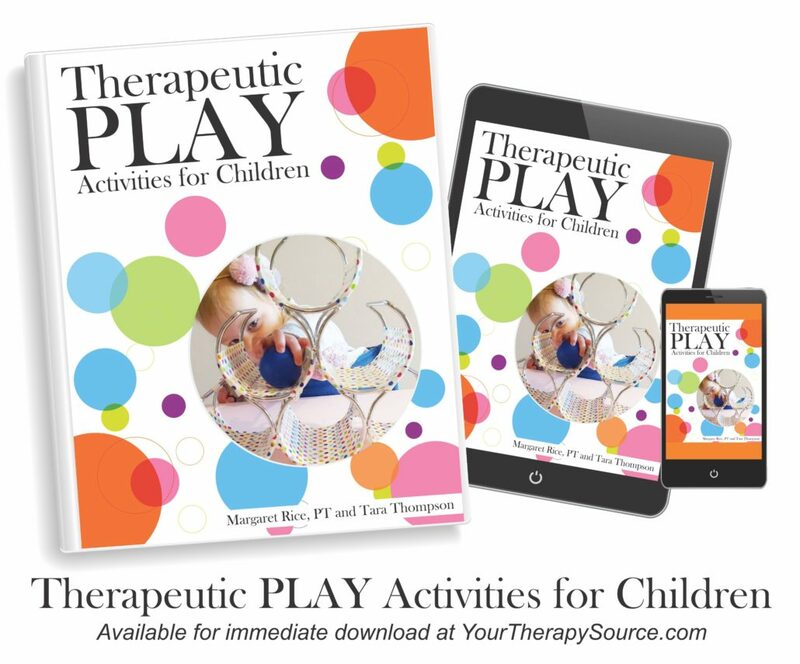 If you need manual activity ideas, check out Therapeutic PLAY Activities for Children. The digital download includes 100 play activity pages and 12 tip sheets. The play activities encourage the development of fine motor skills, bimanual skills, rolling, crawling, tall kneeling, standing balance and cruising with a strong focus on children with cerebral palsy.